MultiHaul™ is a PTMP multi-gigabit radio operating over millimeter waves. 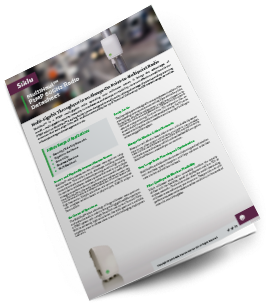 It brings the advantages of mmW – multi-gigabit capacity, immunity to interference and always-on reliability - to a cost effective small form factor PTMP solution. MultiHaul™ is a plug & play system designed to easily scale, taking advantage of patent-pending scanning antennas that auto-align links, and enables connectivity for up 8 Terminal Units at up to 400 meters range, as well as robust planning and management tools.